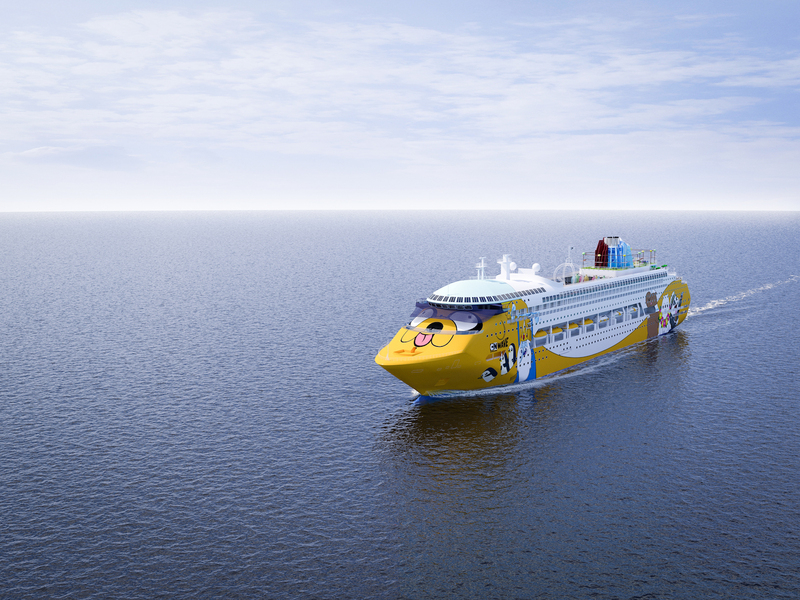 If your children are obsessed with Cartoon Network and their assortment of colourful characters, then they will be thrilled to hear a dedicated Cartoon Network cruise liner, Cartoon Network Wave, will be hitting the seas later this year. This fully-branded ship is the result of a partnership between Oceanic Group, Asia Pacific’s leading cruise management company and Turner, the global media giant behind Cartoon Network. Set to make its maiden voyage from its home port of Singapore in late 2018, the 11 guest-deck, 2,000-guest Cartoon Network Wave will be one vast haven for Toon-loving travellers. The theming and entire onboard experience of Cartoon Network Wave is inspired by Cartoon Network’s universe of well-loved characters from iconic shows such as Adventure Time, Ben 10, The Powerpuff Girls and We Bare Bears. This includes a variety of diverse entertainment, activity and recreation features, as well as retail and food and beverage options. 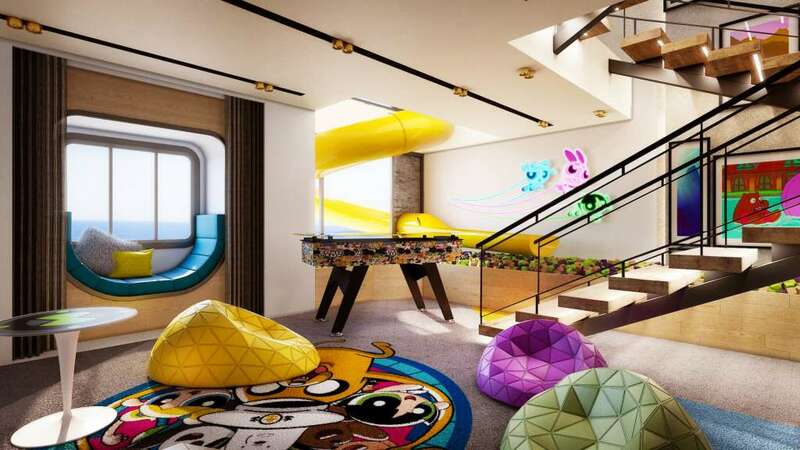 Artist impression of the kids area in Cartoon Network Wave’s Triplex Suite. All illustrations are subject to change without prior notice. Speaking about the partnership, Oceanic Group’s chief executive, Daniel Chui, said the partnership represents the company’s commitment to capitalise on Asia’s growing cruise travel market: “A home-grown cruise project, Cartoon Network Wave heralds the start of a new vacation experience for cruise-goers in Asia where cruise travel meets personalised journeys through experiential story-telling. “With Singapore’s position as a cruise hub in Asia, we believe it is only fitting that we dive right in and ride the surging tide of this passenger cruise wave. “Cartoon Network Wave will revolutionise cruise travel in the Asia- Pacific region and create and curate new cruise experiences for holiday makers, cruise goers and generations of pop culture fans,” added Mr Chui. Online bookings for Cartoon Network Wave will start later in the year. More details on the booking dates and itineraries will be released on the Cartoon Network Wave website.